Very comfortable shoe! I have difficult feet to fit so always skeptical when buying on line. Good return policy should you have to however. I have large, wide arthritic feet (12WW). It can be very difficult to find shoes that are a perfect fit, comfortable, and stylish at the same time. This shoe feels absolutely amazing on my feet! It is the most comfortable shoe with a heel that I have ever worn. I have received so many compliments when I have worn them! 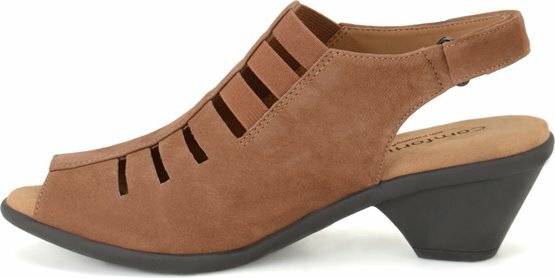 I love this shoe so much I am getting ready to order my third pair! !